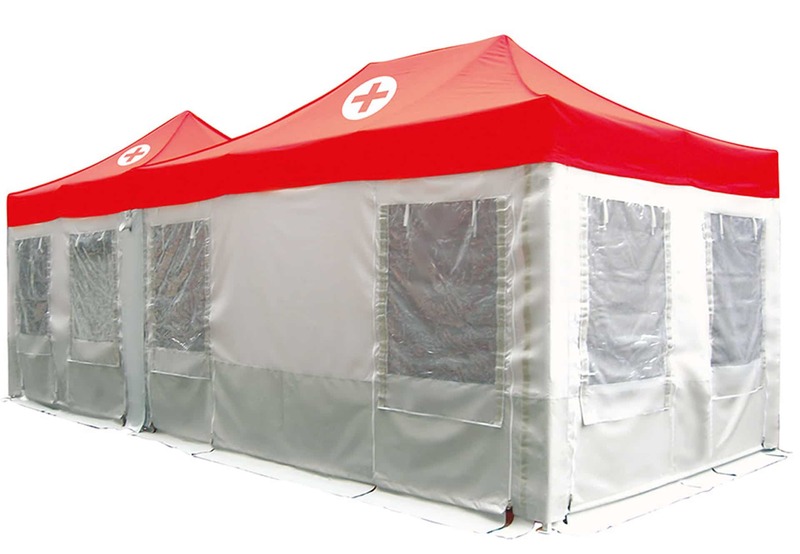 QUALYTENT Rescue is ideal for first response units. Every part of the QUALYTENT Rescue is engineered with the requirements of first response units in mind. The quick set up design for Emergency life support missions,natural disasters, and other cases is of essential importance. The doors are also windows. Easily closed by zippers and rolled up from the outside of the tent. Roof and sidewalls are manufactured from durable fire retardant polyester material, the bottom half of the sidewalls is made from PVC material. The available floor system is made from PVC material. Of course it is possible to use the light kit, heating lamp or any of the other QUALYTENT-Accessories.